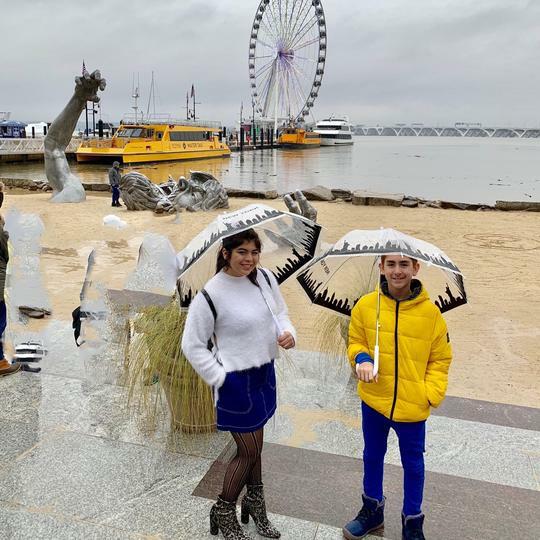 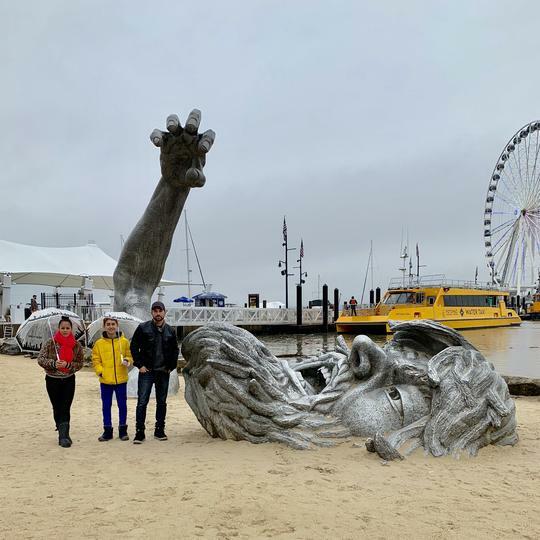 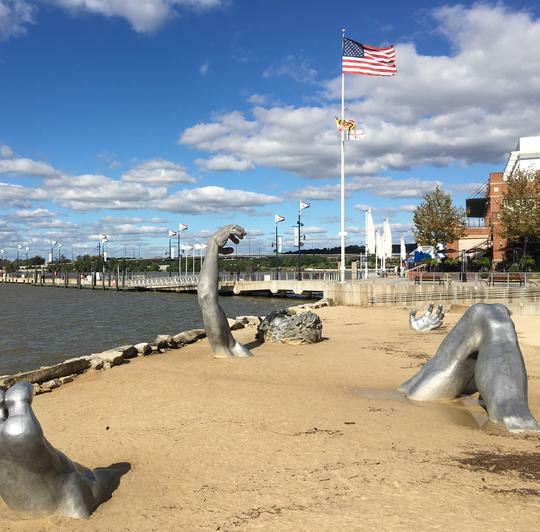 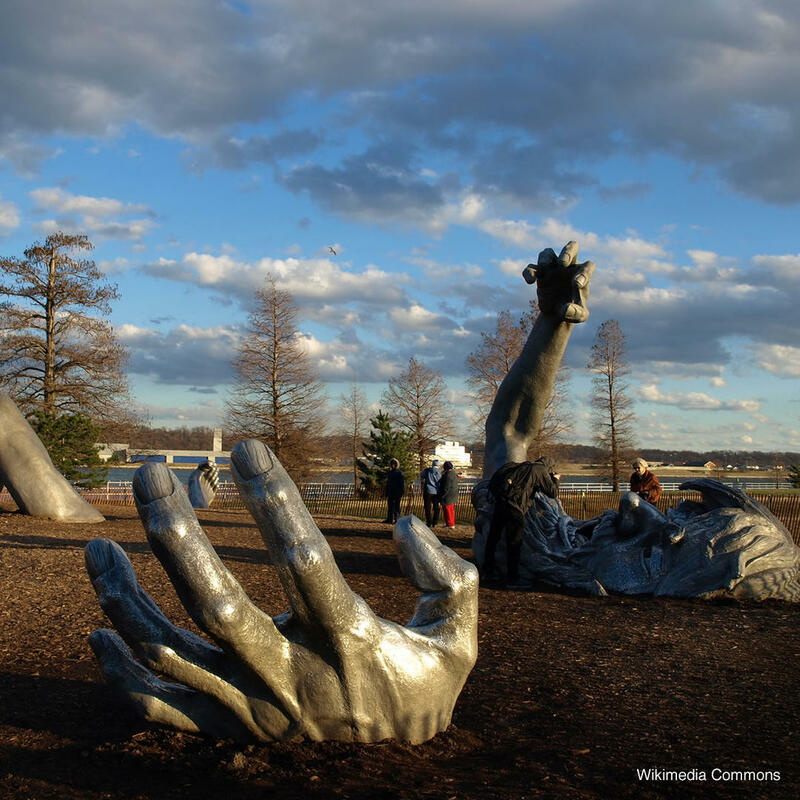 National Harbor is home to the Giant who is the subject of the odd sculpture "The Awakening." 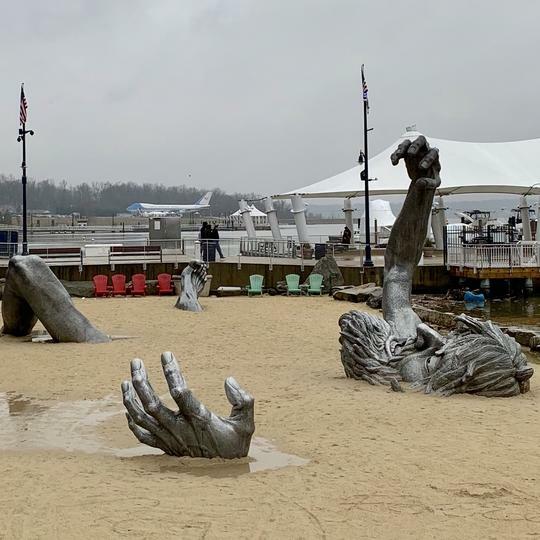 With only a few bits and pieces of his body visible above ground, this pewter-colored masterpiece brings to mind a Titan struggling to free himself from the earth. 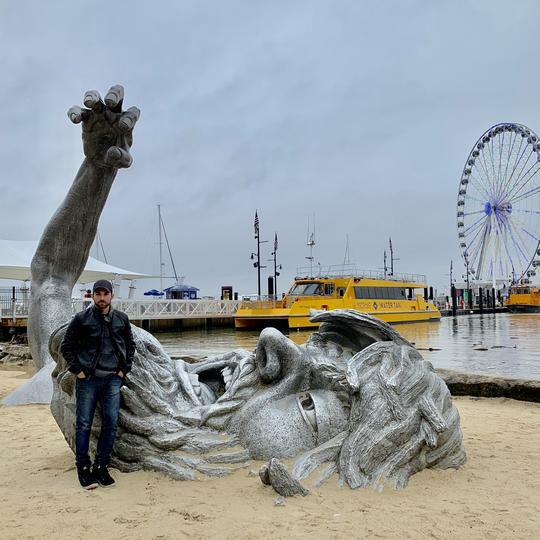 He is earthbound next to the water and people are free to frolick and play around him even as he seems to roar in agony.